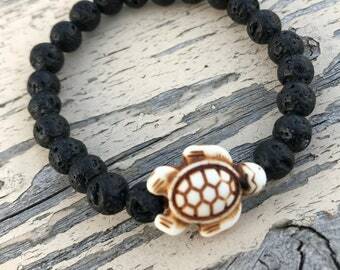 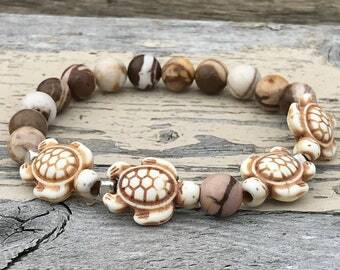 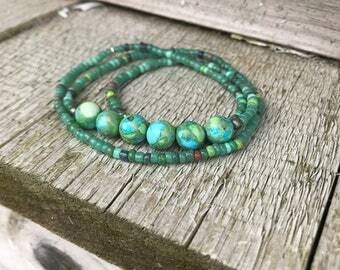 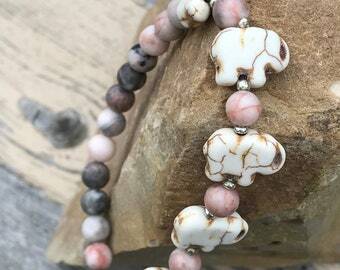 EARTH WRAP BRACELET PERFECT FOR EARTH DAY! 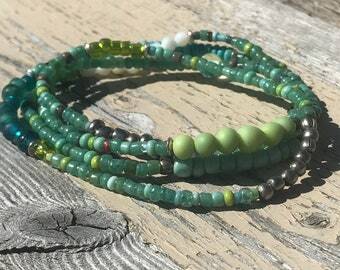 Delicate seed beads in a range of teal and aqua blues and greens with blue and green composite stone beads that resemble the earth. 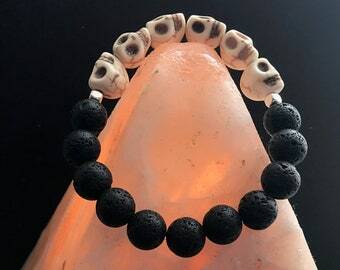 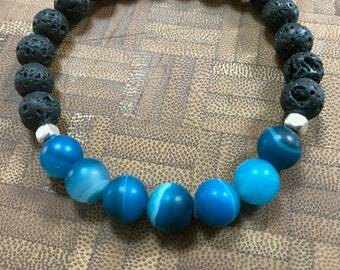 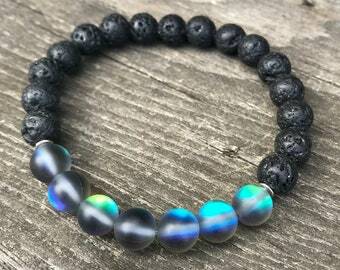 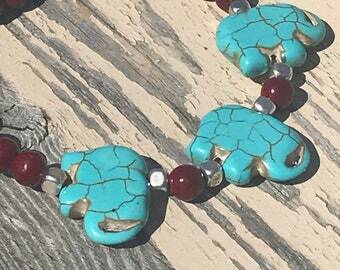 There are nine "earth beads", in three sections of three beads, spaced around the bracelet. 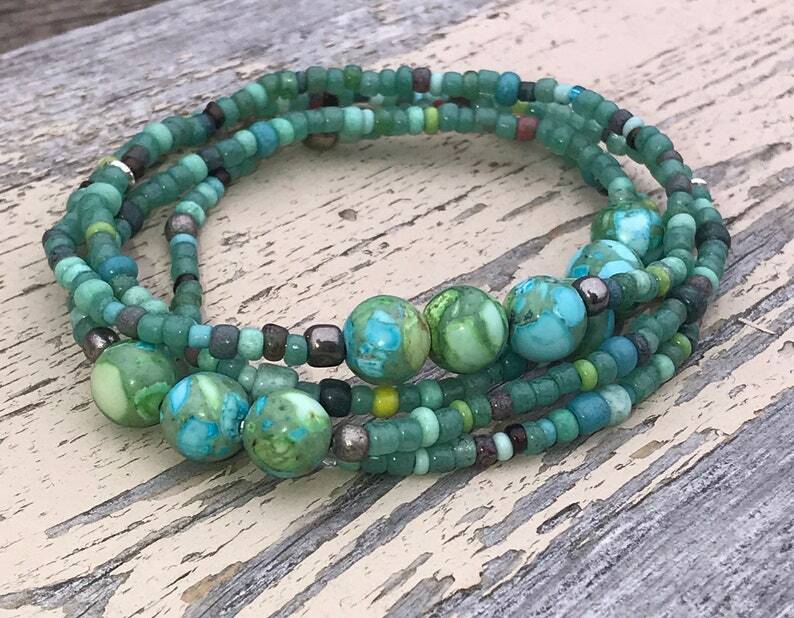 Silver accent beads act as spacer beads between the earth and seed beads. 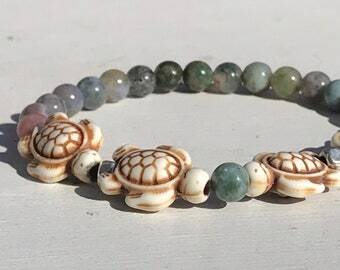 Perfect for upcoming Earth Month (April) and Earth Day (Monday 4/22/19). 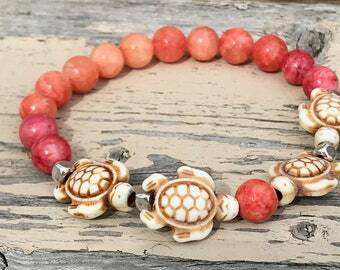 Bracelet measures 29.5" and wraps 4 times around a wrist measuring 6-7 inches.